IITA has revised and upgraded its Whistleblowing Policy to a Fraud Management Policy following a survey carried out on staff’s awareness of the Institute’s policy on whistleblowing. The objective of the policy is to set out the Institute’s stance on fraud and to reinforce existing systems, policies, and procedures of IITA aimed at deterring, preventing, detecting, reacting to, and reducing the impact of fraud. The upgrade ensures the policy remains relevant to the current practices in global fraud and corruption management. It is supported with a Whistleblowing Guideline, which provides procedures for the submission, treatment, and feedback of complaints regarding suspected irregularities. As a publicly funded international research organization, IITA is required to exercise diligent stewardship of its resources. The values, directions, and criteria that IITA draws on to guide its financial choices come from imperatives rooted in current best practices for managing public funds. The public nature of IITA’s resources requires that the organization be committed and proactively address fraud risk factors in its operations and at all levels of management action. 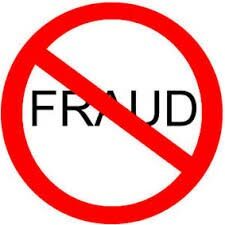 The Fraud Management Policy applies to all forms of fraudulent behavior, or suspected fraudulent behavior, involving employees and/or any other parties with a business relationship with IITA. It is intended to provide direction and help to IITA employees who find themselves having to deal with suspected cases of impropriety. It provides a framework for responding to such cases and gives advice and information on various aspects and implications of an investigation. The Fraud Management Policy will strengthen IITA’s ability to promote accountability, assure scientific quality and integrity, and provide a fair and rewarding working environment.